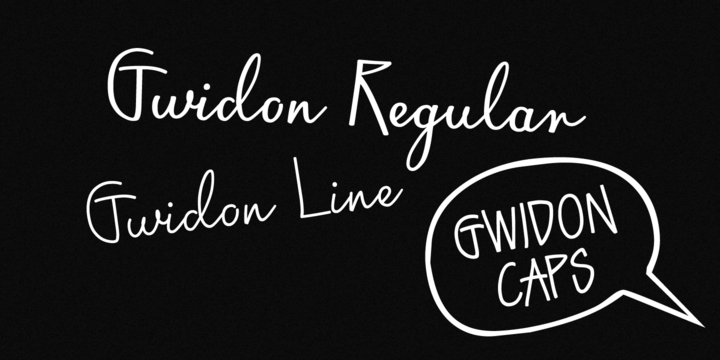 Gwidon is a calligraphic typeface created by Bartek Nowak and published by GRIN3(Nowak) that you’ll find three styles (Regular, Line, Caps). It is ideal for invitations, posters, wedding, greeting cards, menus, books etc. Also it has language support. Enjoy! A font description published on Wednesday, June 26th, 2013 in Fonts, GRIN3 (Nowak) by Alexandra that has 3,502 views.